You are warmly welcomed to take part in the ISPRS Technical Commission III mid-term Symposium to be held in Beijing, China in May 2018. The aim of the Symposium is to attract scientists, researches, practitioners, and students working in the field of Remote Sensing, from all over the World, to attend, share and present their latest developments in Remote Sensing. The symposium is focusing on three main themes: Developments, Technologies, and Applications. Scientific topics and research related to the TC Working groups will be considered for publication. The symposium will act as a forum to participants for knowledge updates, technology transfer and to promote international collaboration. The scientific organizing committee are providing "Young Author Award" (resented to participant who is less than 35 years old and is the sole author of a high quality paper submitted to Annals) and “Student Best Poster Award” (presented to a participant student for his/her poster design and scientific contents). The two Awards value are $500 and $300, respectively with certificate of appreciation. Second place for both competitions will receive $200 each with certificate of appreciation. The symposium will serve as a contact venue for potential high quality students. While the symposium will provide unique opportunity for the industry to show their latest technologies in the field of Remote Sensing through the technical exhibition, technical tours to visit Chinese companies working in software/hardware developments will be arranged. In addition, a visit to the Chinese National Geomatics Center will be organized to introduce the latest technologies and applications used by the center. The papers accepted by the Symposium will be published in the ISPRS Annals of the Photogrammetry, Remote Sensing and Spatial Information Sciences (by double-blind full paper review) or The International Archives of the Photogrammetry, Remote Sensing and Spatial Information Sciences (by abstract review). 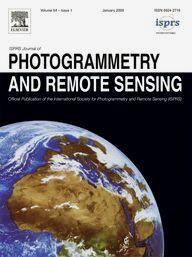 Special Issue in the ISPRS Journal of Photogrammetry and Remote Sensing will be organized based on papers from the Annals and Archives. The Symposium will be held in Beijing, the capital city of the China. With a history of more than 3,000 years, Beijing is not only the nation's political center, but also its cultural, scientific and educational heart as well as a key transportation hub, offering China's most wonderful array of attractions. The city hosted the 2008 Summer Olympics and will host the 2022 Winter Olympics, which will make it the first city to ever host both events. The Symposium venue will be Beijing International Convention Center (BICC), located close to the main venue of 2008 Olympic Games. On behalf of the symposium organizing committee, we are looking forward to seeing you in Beijing in May 2018. Five recipients of TIF travel grants gratefully accepted the support to attend the GSW2017 in Wuhan in September. Read their reports below. 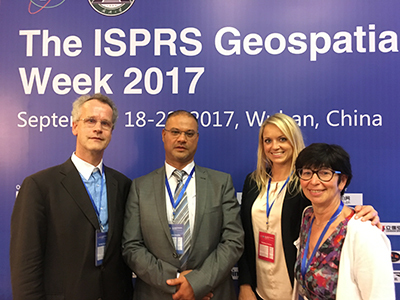 c. What an undergraduate learnt from ISPRS Geospatial Week 2017? In accordance with the statutory mission and activities of ISPRS, the Society shall provide funds to support educational and capacity building initiatives, which will further improve its international status in the educational area in the field of the photogrammetry, remote sensing and spatial information sciences, and will therefore benefit all ISPRS members. Future calls for funding shall be made on a two yearly basis (in odd-years), and dependent on the budgetary restrictions at the time of the call for proposals. In view of ISPRS resources, Council is making up to CHF 40.000 available to support the capacity building initiative 2018. The maximum funding assigned to any one scientific project shall be SFr. 10,000. Projects should commence on or after 1st February 2018 and can be of any duration up to a maximum of 12 months, to be completed on or before 31st January 2019. If possible, results should be presented at the ISPRS Com. V Symposium to be held in India in late 2018 (see www.isprs.org for details). Any queries should be addressed to the ISPRS Treasurer, Songnian Li, at isprs-tr@isprs.org. Announcement of Scientific Initiatives: 31st October 2017. Deadline for submission of proposals from WG Officers to TCPs: 15th December 2017. Deadline for submission of recommendation from TCPs to ISPRS Treasurer: 15th January 2018. Announcement of successful grants by Council: Monday 25th January 2018. Funding available from 1st February 2018. ISPRS Council is pleased to announce that on September 20, during the Geospatial Week 2017, held in Wuhan, China, the ISPRS GSW Selection Committee elected Dubai Municipality to host the GSW2019, which will be held from 24-28 March, 2019. We look forward to seeing you all in Dubai in 2019! ISPRS President, Christian Heipke and Secretary General, Lena Halounova with Chairman of the Geospatial Week 2019, Hussein M. Abdulmuttalib and his assistant, Anna Zih from Dubai Municipality, UAE. The ISPRS contract relative to the organisation of the XXIV ISPRS congress was signed, on the 22nd of September, in Wuhan, China, during the ISPRS Geospatial Week 2017, by the president of ISPRS, Christian Heipke, and the congress director, Nicolas Paparoditis, on behalf of the French Society for Photogrammetry and Remote Sensing (SFPT). This contract details the duties of the congress organiser. The XXIV ISPRS Congress will be held in Nice from the 28th of June to the 4th of July 2020. 2020 Congress Director, Nicolas Paparoditis and ISPRS President, Christian Heipke sign the Nice Congress contract in Wuhan. ISPRS is pleased to announce that three new Sustaining Members have joined us in the past three months. On behalf of the ISPRS Council, we extend a very warm welcome to them. Read the company profiles here…. I am pleased to announce that Professor Guo Huadong, of the Institute for Remote Sensing and Digital Earth (RADI) of the Chinese Academy of Science, has agreed to serve as chairman of the International Committee on Remote Sensing of Environment (ICORSE), effective September 20, 2017. As with previous chairpersons of ICORSE, Professor Guo was nominated by the President of the International Center for Remote Sensing of Environment (ICRSE), with concurrence of the Council of the International Society of Photogrammetry and Remote Sensing (ISPRS). Those of you who attended the ICORSE meeting in Tshwane will recall the Mr. Lawrence Friedl, the sitting chair of ICORSE, extended an open invitation to members who wished to succeed him as chairperson. I am sure that you will all join me in appreciation of Mr. Friedl’s efforts as chairman to improve upon the long-standing terms of reference for ICORSE with the hope that Professor Guo will continue these efforts. Professor Guo has assured me that he will address the ICORSE membership soon. We hope you will welcome your colleague to the chairmanship of ICORSE. CALL FOR BOARD MEMBER APPLICATIONS. The ISPRS SC is looking for responsible and passionate individual to be part of the organization’s board members. The application is open from October 9 to October 31, 2017. If you are interested in becoming an active ISPRS SC board member, please complete the attached form and send it to Ayda Akkarta Aktas, akkartala@itu.edu.tr. BE A MEMBER NOW! Be part of our growing community! Be up-to-date with technological advancements and get exposed to available educational and career opportunities in the field. Always looking for a way to join conferences to present your research? Learn about available travel grants for the youth through our network and access opportunities that can enhance your career experience and journey. Register at our official website: http://sc.isprs.org and receive the latest updates from the ISPRS and ISPRS SC. Apart from climate, one of the most important components of global change is the change in land use and land cover (LULC). LULC change detection is a key task for better understanding landscape dynamics and sustainable management planning. Mapping and monitoring LULC has become one of the most important applications of remote sensing (RS). Today, we face an unprecedented amount of public RS data and new tools are already available to transform it into useful information. Google Earth Engine (GEE) is a cloud computing platform for processing RS data that provides access to a large collection of satellite imagery and the necessary computational power to analyze them. This summer school will focus on the use of machine learning algorithms to classify Landsat images using GEE to produce land cover maps and monitor change in time. The United Nations initiative on Global Geospatial Information Management  develops and uses geospatial information to address key global challenges. The priorities and work programs of UN-GGIM are driven by Member States and UN-GGIM is looking for university and research center partners from across the globe to help support its aims and objectives. UN-GGIM has formed in the UN-GGIM Academic Network . This is a strategic arm for UN-GGIM to achieve their vision . The members of this Academic Network will be comprised of relevant universities, academic institutions or research centres where geospatial information research and/or education are accomplished and also want to voluntarily collaborate with UN-GGIM. Qualifications of universities and research institutions to become members are listed in the Terms of References . Although there are no membership dues required, there is an expectation for each member to regularly contribute to one or more objectives of the UN-GGIM Academic Network. If the aims and goals of your geospatial scholars, scientific and academic institution are in alignment with those of UN-GGIM, I as the Chair of this Academic Network encourage you to review the UN-GGIM Academic Network website and, submit and join this Network by sending an Expression of Interest . Because the EOI must be submitted online in one sitting currently, I recommend that you download the pdf containing the EOI questions so you may have all responses ready to cut and paste into the form as well as the letter of support from your chief administrative officer. We look forward to your submission. If you would like to discuss any issues or ask questions, please feel free to contact me. The primary objective of the UN-GGIM Academic Network is to support the aims and objectives of the United Nations Committee of Experts on Global Geospatial Information Management (UN-GGIM), as UN-GGIM sets the agenda for the development of global geospatial information and promotes its use to address key global challenges. The network will facilitate access globally to research and education capabilities for UN-GGIM and its affiliated members in order to identify and respond to challenges and opportunities for UN-GGIM and related UN offices. The UN-GGIM Academic Network will be a coalition of recognized universities and research and education centers involved in research, development and education on geospatial, land information and related matters, run on a volunteer basis. 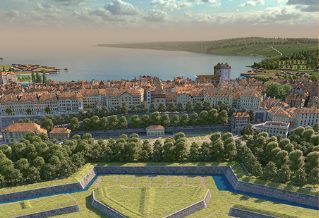 The Relief Model of 1850 Geneva is a 30m2 metallic model of the city when it was still enclosed by three rows of fortifications. The model was completed in 1896, after 18 years of study and labour, by a team of goldsmiths under the direction of the architect Auguste Magnin. It is the first historical reconstruction of an entire city in three dimensions. New book on 50 years (1965-2015) of Earth observation activities from space performed by Europe to be released in first half of 2018!! Last year a publication has been released related to the history of Earth observation in Europe since the mid 60’s till now. This book was realised under the auspices of the “Institut Français de l’Histoire de l’Espace” (IFHE), a non-profit association, and is entitled « Observation spatiale de la Terre - Optique et Radar- La France et l’Europe pionnières ». It provides a comprehensive overview over a period of 50 years (1965-2015) of Earth observation activities and applications performed in Europe. The book is focused on high resolution optical and SAR imagery and covers both civilian and military space systems. Several chapters deal with EU and ESA Earth Observation cooperation programmes starting from the early days with Earthnet till today with the Copernicus Sentinels satellites. It also covers cooperative programmes between the EU and some Member States (e.g. Belgium, Sweden and France for the Vegetation instrument flown on Spot satellite missions). The book results of contributions of more than 80 space « pioneers », all being or having been key players from Space agencies (ESA, CNES, ASI, DLR, CSA…) and Space industries (Airbus Space and Defence, Thales Alenia Space, etc. ), from European Commission DGs (DG Research and DG GROW) and the Joint Research Centre as well as from the scientific and application communities, in particular EARSeL and EARSC. ESA has provided a major financial support for the translation of the book into English and it is expected to release this English version by May 2018. This is a major step forward but, in order to complete and secure the total required funding, IFHE is looking for pre-purchase orders, at a preferential unit price of 40 € instead of 50 € when released to public, to cover the remaining cost of publication and to print some 2000-2500 copies of the book. About 800 pre-purchase orders are needed in order to cover this production cost and the EARSeL community support would be very much appreciated. Use the form to place a pre-purchase order for the English version of the book. The 2030 Agenda for Sustainable Development, adopted by the United Nations (UN) General Assembly in 2015, contains a set of 17 Sustainable Development Goals (SDGs). Geoinformatics can make a powerful contribution to the Agenda for Sustainable Development. It is therefore timely for the creation of an Atlas that describes contributions of remote sensing and the spatial information sciences towards helping achieve the 17 UN SDGs. With the support of a current ISPRS Scientific Initiatives Project, we are pleased to announce the “Atlas Challenge”. Participants should submit research, together with a short report, that uses global land cover, with other geospatial and socio-economic datasets as deemed appropriate, to measure, monitor and manage the progress of any aspect of sustainable development, as defined by one or more of the UN’s 17 SDGs. A First Place prize of 2000 Swiss Francs and a Second Place prize of 1000 Swiss Francs will be awarded, with the winning entries demonstrated at the 2018 Commission IV Symposium in the Netherlands. Cutting Edge Conference presenting the latest developments from leading industry experts from across the globe keeping delegates one step ahead in this fast moving industry. International Exhibition showcasing 200 of the world’s leading suppliers of geospatial technology and service providers, all under one roof. Commercial Workshops demonstrating the latest products and services first hand, offering visitors the unique opportunity to see them in action. Associated Meetings addressing the industries ‘Hot Topics’ which are driving the industry forward. Networking Opportunities providing visitors with the opportunity to develop successful business relationships at the welcome drinks, ale trail and gala dinner. Geo-information for Disaster management (Gi4DM) Disaster Management heavily relies on remote sensing and the underlying radio science which supports the remote sensing and communications systems. Many of the challenges are interdisciplinary and require sophisticated solutions. In this spirit, the session aims to highlight and explore the radio science and remote sensing challenges which must be overcome to support humanitarian relief. These include a wide variety of sensor systems including ground penetrating radars to search for buried people and objects and the opportunistic detection of EM emissions from communications devices including cell phones, PDAs, which can help to locate lost persons. In both of these cases the radio scientist is involved in the antenna design, the propagation of wideband signals through dispersive ground media and also the signal processing. The remote sensing community then requires sophisticated search and recognition strategies to quickly identify targets. The 1st ISPRS Workshop on Remote Sensing and Synergic Analysis on Atmospheric Environment was held in Changsha, China during Sept. 21 and 22, 2017. It was organized by the ISPRS Working Group on Remote Sensing of Atmospheric Environment (WGIII/8) and Central South University. Professor Lixin Wu, chairman of the ISPRS WGIII/8, served as the chairman of the workshop. There were more than 90 attendees from 25 institutions, e.g., German Aerospace Center (DLR), Ludwig-Maximilians-Universität München (LMU), Chinese Academy of Sciences (CAS), Wuhan University, Fudan University. There were 35 oral presentations including 15 invited speakers from remote sensing, meteorology, environment, and public health areas. The Geo-spatial Week 2017 (GSW 2017), approved by ISPRS Council and held by Wuhan University from Sept. 18-22, was successfully closed in Wuhan. With the great efforts of Local Organization Committee and Program Committee, and the guidance of International Scientific Committee and ISPRS Council, GSW 2017 won a great success. The ISPRS workshop, entitled “Collaborative and Dynamic Land Cover Information Services Supporting UN Sustainable Development Goals”, was held in Jinan, China on 16th September 2017. The meeting was jointly co-organized by ISPRS ICWG IV/III, the National Geomatics Center of China (NGCC), Shandong Normal University and NASG Research Center for Fundamental Geospatial Information. The workshop enjoyed the support of the ongoing ISPRS Scientific Initiatives project, entitled “An ISPRS contribution to Transforming Our World: Augmentation of GlobeLand30 with additional data for monitoring United Nations Sustainable Development Goals”. The theme of the meeting was on how global land cover data could quantify indicators of the sustainable development goals (SDGs) in order to support the United Nations (UN) “2030 Agenda for Sustainable Development”. More than 100 delegates from 20 research institutes attended the workshop, including four members of the ISPRS Council. Prof. Duan Peiyong, Vice-President of Shandong Normal University, gave a welcome speech in the opening session. Dr. Wu Hao, Co-Chair of ISPRS ICWG IV/III, chaired the workshop. Environmental Monitoring, Photogrammetry, Geoinformatics - Modern Technologies and Development Perspectives. The conference was attended by more than 100 participants from 9 countries (Ukraine, Poland, Germany, Moldova, Armenia, USA, Canada, Czech Republic, and Iraq). Among them are leading scientists, entrepreneurs and industry workers, representatives of local authorities and the public, students and Phd students. The UAV-g 2017 conference was successfully held in Bonn from September 4-7, 2017. The event hosted around 180 researchers from various research fields and from over 25 countries. The conference featured two plenary tasks, one given by Prof. Davide Scaramuzza on Autonomous, Agile, Vision-controlled Drones: from Active to Event Vision and one by Prof. Charles Toth on UAS Technology: The Challenges of Mapping. The 1st IAA North East Asia Symposium on Small Satellites - titled "Serving the Needs for the Benefits of the Region" - took place in Mongolia's capital Ulaanbaatar from August 21-23, 2017. Initiated by IAA academician Dr. M. Saandar on behalf of the Mongolian small satellite community the symposium was organized by the International Academy of Astronautics (IAA), hosted and supported by the Mongolian Society of Photogrammetry and Remote Sensing (MSPRS), the Mongolian Academy of Sciences (MAS) and MonMap Engineering Services as well as promoted by the Mongolian Ministry of Education, Culture, Sciences and Sports (MECSS), the National University of Mongolia (NUM), the Asian Association of Remote Sensing (AARS) and the International Society of Photogrammetry and Remote Sensing (ISPRS). From 13 to 16 August 2017, the 2017 International Symposium on Planetary Remote Sensing and Mapping (PRSM2017) was successfully held at the Hong Kong Polytechnic University (PolyU). 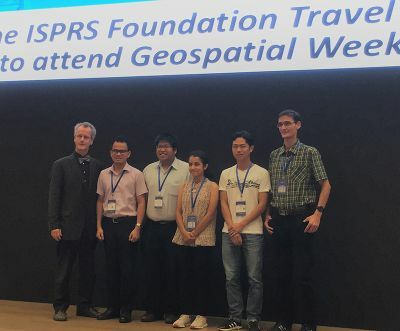 The Symposium was jointly organized by the International Society for Photogrammetry and Remote Sensing (ISPRS) Working Group III/II: "Planetary Remote Sensing and Mapping" and the Department of Land Surveying and Geo-Informatics (LSGI) of PolyU. 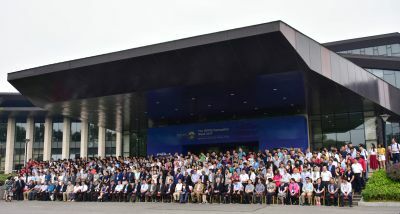 The Symposium provided an interdisciplinary forum for leading scientists and researchers from different countries/regions to share the latest research and developments from the recent missions exploring the Moon, Mars, and other planets by NASA, ESA (European Space Agency), China, and other countries. Read the full report here…. Jim Case, 88, of Cedar City, UT, passed away May 8, 2017, in St. George, UT. He was born October 26, 1928, in Lincoln Illinois, to Richard Warren and Blanche Irene Boyce Case. He married Claire Criger, together they had a son James C. Case. Agryzkov, Taras, Oliver, José L., Tortosa, Leandro, Vicent, José F.
Huntra, Patcha, Keener, Tim C.
Poletti, Flavio, Bösch, Patrick M., Ciari, Francesco, Axhausen, Kay W.
Schabus, Stefan, Scholz, Johannes, Lampoltshammer, Thomas J.
Vázquez-Jiménez, René, Romero-Calcerrada, Raúl, Ramos-Bernal, Rocío N., Arrogante-Funes, Patricia, Novillo, Carlos J.
Mendez-Estrella, Romeo, Romo-Leon, Jose Raul, Castellanos, Alejandro E.